For those who want to know how to assemble the pug’s head, work an i-cord tail, shape a dog’s head and many of the more complex methods used to make a knitted dog, we are running a two day workshop at the Victoria and Albert Museum in London on October 12th and 13th. 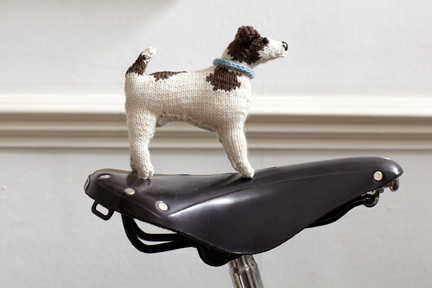 During the short course you will taken on a curated tour of dogs in art at the museum, learn to knit a Jack Russell from our first book and a Golden Retriever from our second book, learn all techniques for knitting the dogs, discover how we design them and learn a little about our knitwear business. 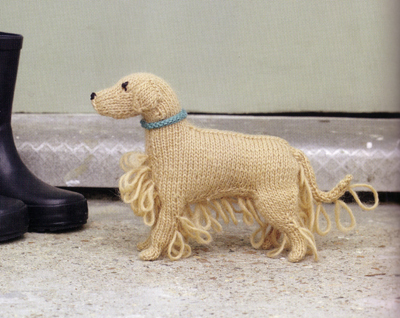 Bring a photograph of your dog and we show you how to knit your dog using patterns from our books. Both kits will be included in the cost of the course. To book a place, here is the link.